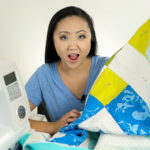 Quilt with me! Finishing this dinosaur quilt up by trimming and binding. 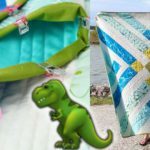 Sharing my tips for keeping the quilt square and machine binding – no hand sewing! Quilt with me! Finally quilting a top I pieced together two years ago.